In 1994, humankind experienced an unprecedented phenomenon that experts later termed "Peak Carrey." A cross between a major atmospheric disturbance and a mass public hysteria, the event afflicted individuals with symptoms including rubberized facial expressions, spontaneous utterances of annoying noises, and rectal vocalization. 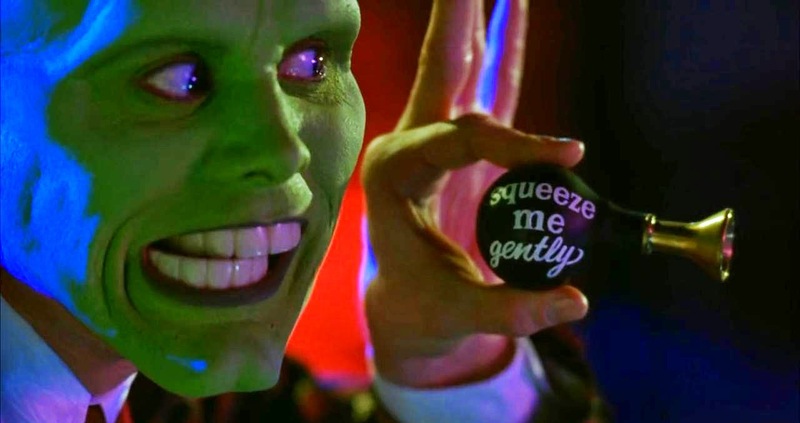 While it is known that the films Ace Ventura: Pet Detective and Dumb and Dumber were indeed primary instigators, we also believe that The Mask played a crucial role in introducing Peak Carrey to the population. From sad sack Everyman to living cartoon, people could not get enough of Jim Carrey in 1994. We'll find out why as we examine The Mask.